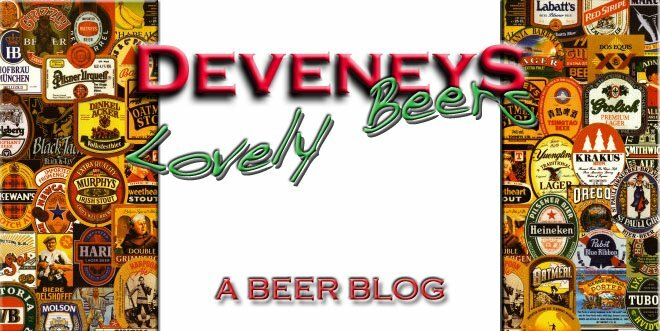 Deveneys of Dundrum: Gardener's Tipple by Hog's Back Brewery. 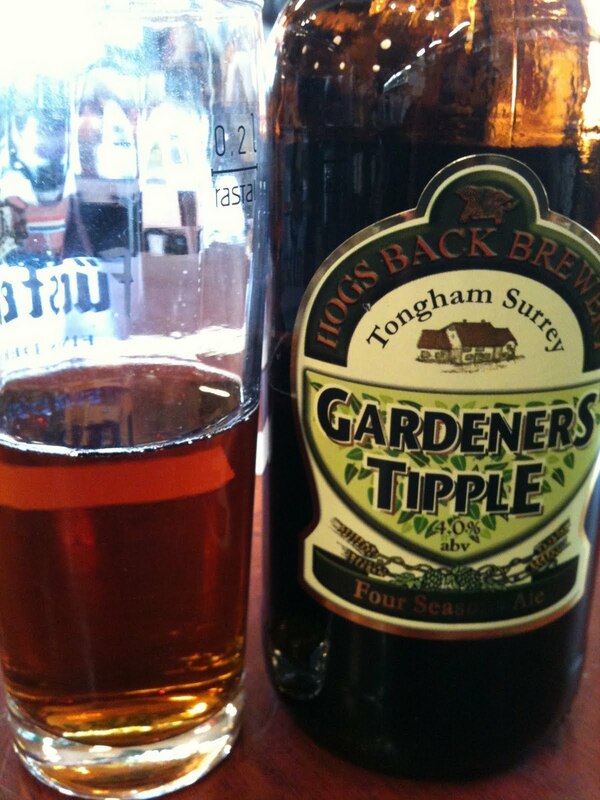 Gardener's Tipple by Hog's Back Brewery. The new Surrey Brewery in our ever growing U.K section is Hog's Back. They make a range of Ales and Blondes of which I took 2. The Gardener's Tipple and Tea. 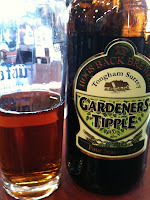 The Gardener's Tipple is the beer on tasting this evening. We chose it because it's a day that I'd romantically envision myself doing my garden. In reality though; even if I was off enjoying the summer spurt; I definitely wouldn't be spending it with a secateurs... I don't even know what they look like and if you saw my garden you'd understand why. The beer isn't as great as the weather; unfortunately. The label is quite retro in a Southern- English- Mid- Summer -Murders kinda way. It's an amber ale; nice head and lively effervescence in the glass. The nose is promising. I get banana; Honey and herbal notes. Eoin reckons it has a spiciness; I don't detect this but he doesn't get banana so we could be both wrong. The palate isn't awful but slightly disappointing and a little boring. It has a heavy mouth-feel but it's light on flavours. I can't find any honey or fruit; it's quite herbal and grassy with high acidity and malt on the finish. It's refreshing but so is Cadet orange; on a sunny day... That comparison says it all. Fingers crossed for the Tea Varietal; I'll keep you posted.